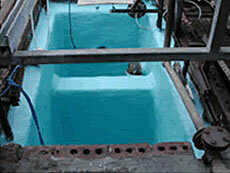 Steel Tanks - Concrete Tanks - Fibreglass Tanks. 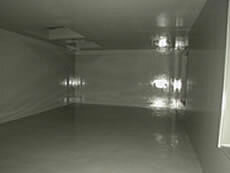 Cost on average approximately 10% the cost of replacing a tank (or an effective saving of 90%). 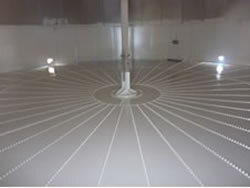 Lining Installation work on large tanks completed in a few short weeks. 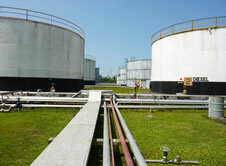 Lining installation work on small tanks completed in a few days. In over 35 years working with tanks have found that almost any tank, in any condition, can be lined and brought back into service. In our throwaway society far too often, older tanks are discarded when in reality they can delivery effective service for many years to come. 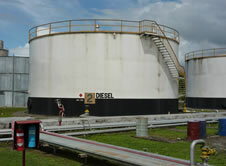 We have revitalised many tanks which would have otherwise been dismantled and destroyed needlessly, with all the cost, hassle and financial implications of removing the old tank and installing the new one. 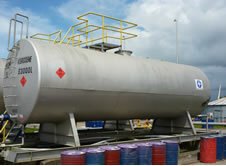 At Specialist Coatings we repair and restore old corroded tanks with our solvent free technology, to further the life of the tanks by 5 to 25 + years depending on the system used and our customer’s requirements. 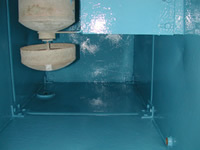 In our many years of experience we have refurbished tanks in every conceivable condition of corrosion and decay with many problems, but we always work with the customer to find the most cost effective solution. We pride ourselves on our longevity within the industry, and our commitment to restoring corroded and neglected tanks nationally and internationally. 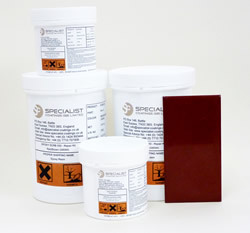 Specialist Coatings (GB) Limited carry out surface preparation, application and testing an extensive range of tank lining products which are designed to meet every corrosion and containment challenge. The refurbishment or lining of an existing tank is more cost effective than replacing a tank and certainly more environmentally friendly. A minute hole in the internal protective lining of an aggressive chemical bulk storage tank can rapidly become an extremely serious problem. 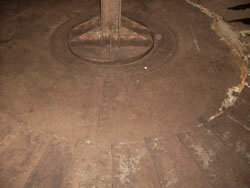 It is potentially very dangerous to personnel and the environment and could lead to product loss and wastage. Any contamination of food or drink stored in a process vessel with a substandard internal surface could necessitate the disposal of the entire production batch or permanently give your client a lower impression of the standard of your product than it really deserves. 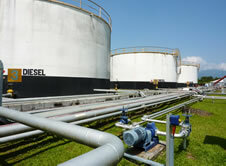 The cost of a failed container is not only the repair cost, but the lost material or product, the lost time and in some cases the cost of providing a replacement tank. There are no short cuts: to stop corrosion and to protect the tank we use the right materials, the right tools for the job, and we test the results until we are completely satisfied. In short... We are specialists. Food grade, chemical resistant and high temperature lining material variants available. 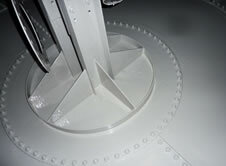 We offer a supply of tank lining materials directly for trade and professional use and also for DIY applications. 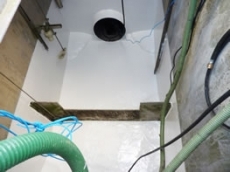 We can supply for quantities of resin lining repair kits to make localised patch repairs in tanks with existing resin linings. 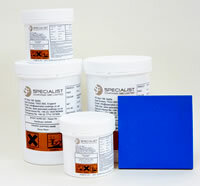 Click here for more information on tank lining materials.